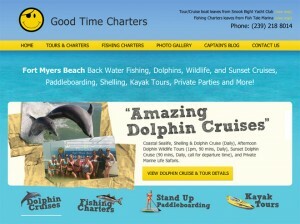 We’ve been working with Good Time Charters for several years now, and every so often we either redesign their website, or we redesign areas of the current version to take advantage of new technology, promote new services they offer, or simply to just spruce up the visuals and functionality of the site to keep it fresh. A few weeks ago, we redesigned the homepage of their website and added a featured tours slideshow to enhance the visual and engage visitors. Each slide grabs the eye, and really presents their tours in a great light. 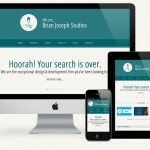 Their tours and cruises are a lot of fun so it was important that their website design represented this. With some excellent design, some jQuery and CSS, we created a nice slideshow and since launching the homepage redesign, their tours are busier than ever!